It’s now 2 weeks into January and I haven’t greeted you all a happy new year yet! Better a little late then never so…..Happy 2014 to you all! We wish you the best possible year! Have any resolutions? I don’t remember when I stopped making them, but this year I’m just focusing on being positive (and hopefully inhibit the production of gray/white hairs). I tend to stress (go bonkers) about things (such as finding recyclable plastic in the kitchen garbage can every morning). Nevertheless, I guess I don’t have much reason to be stressed. I don’t have kids yet, hehe, just higher-maintenance fur-kids. As always, here at food flavor fascination, we celebrate with good food (and a little tinkering of recipes & culinary ideas). In addition to the grub, we celebrated with New Year’s Eve traditions of displaying 12 or 13 round fruits to bring prosperity in the new year as picture above (click here to read more about this seemingly peculiar Filipino cultural tradition) and also watching all five of the original Planet of the Apes movies (my husband’s New Year’s Eve tradition). Now, back to the food. We rang in the year with some classic/traditional New Year’s dishes, but updated for 2014. Remember the New Year’s Eve Pizza (aka sfincione) that I made last year? I have made sfincione for 4 successive New Years Eves now. Here’s the year 2014 version: a gluten-free vegetarian sfincione. 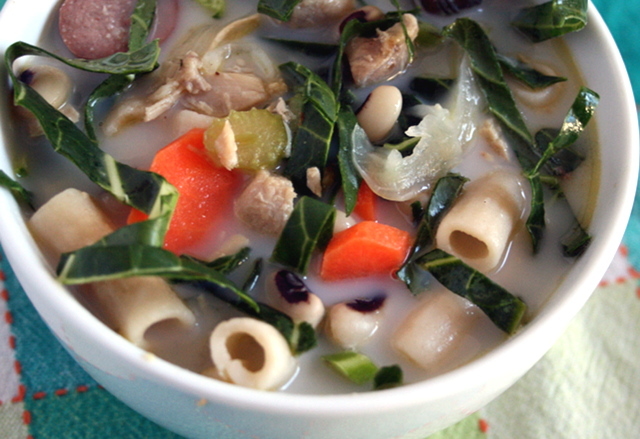 Here’s another happy new dish: sopas with greans and black-eyed peas. I’ve mentioned sopas before, but never featured it. It’s another type (of several) Filipino-style chicken-noodle vegetable soup, but it’s a tradition to eat it for New Year’s. In my family, we slurp it up right after the ball drops on midnight. We still carry out this tradition and this year was no exception. Instead of champagne and/or sparkling cider, we have sopas…or maybe both! We paused one of the movies at around 11:00 pm and finished cooking the sopas (I prepped, mostly chopped veggies in advance so we could enjoy our movie marathon). Shall we start the recipe festivities? Another star of New Year’s cooking is black eyed peas, which is also said to bring prosperity when eaten for this holiday. It’s also a Southern U.S. staple and classically paired with greens. 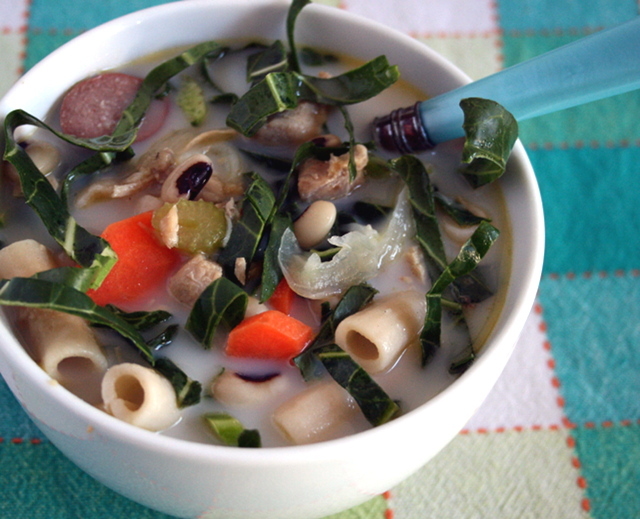 They are a tasty duo and when combined into sopas, the Filipino New Year’s dish, it becomes a super New Year’s dish. Super tasty and with some added health benefits. Health-conscious cooking is now, seemingly more than ever, on people’s minds and I know that in 2014 and beyond, it will continue the upward trend. Also on the up-and-up is pasta made with alternative ingredients in contrast to the classic semolina or all-purpose flour. I love using these different types of less-refined pasta. I think they shake things up and bring variety to dishes. Among my favorites are quinoa pasta and brown rice pasta. In sopas, we traditionally use elbow macaroni, but I decided to use brown rice penne (Trader Joe’s brand). This particular brand looks similar to elbow macaroni, but just a little elongated with a slight curve. The texture is pretty smooth, with a nice bite. Feel free to use your favorite macaroni or similarly-shaped noodle. Now for a bit of meat. 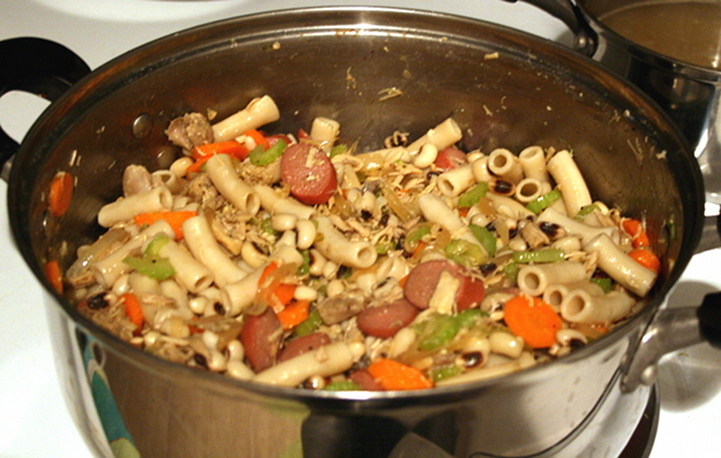 Chicken (already cooked) and sausage (often cocktail sausages such as those little Vienna sausages) are other traditional ingredients in this soup. 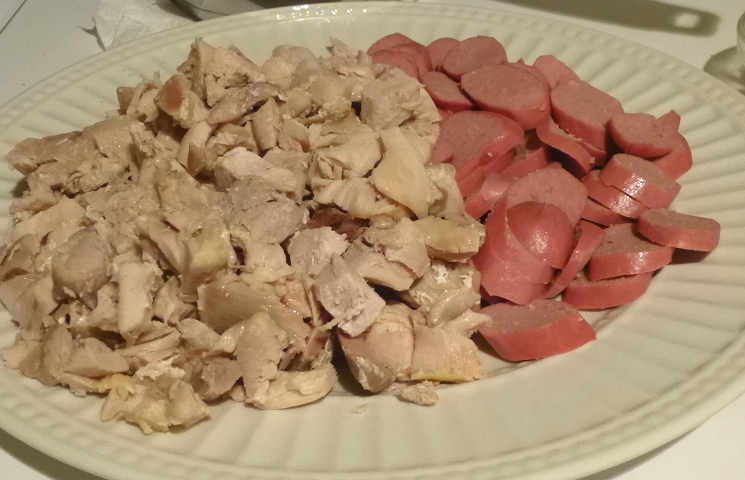 The slight difference is that I used cage-free organic chicken thighs and organic beef hotdogs (from Applegate Farms). The hotdogs may sound weird right now, but they actually taste good in the soup, trust me. 🙂 Feel free to leave the meat out if you want. 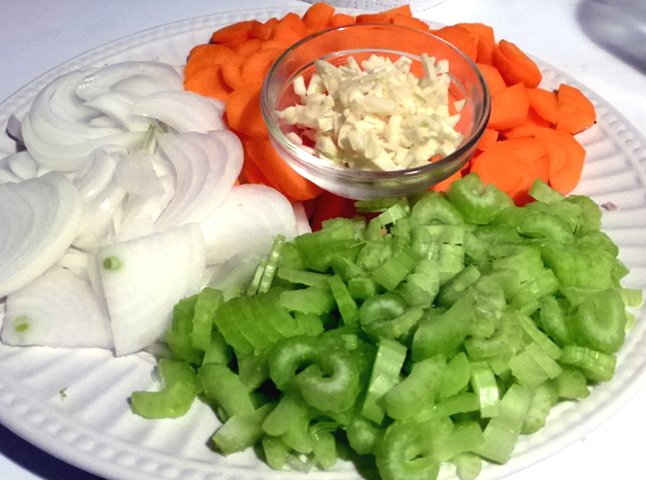 More classic sopas ingredients: chopped garlic and a mirepoix of sorts consisting of sliced onion, sliced celery, and sliced carrots. The key to a good sopas flavor base is slightly browning the garlic first. It’s the slightly toasted flavor that separates good sopas from the rest, IMHO. 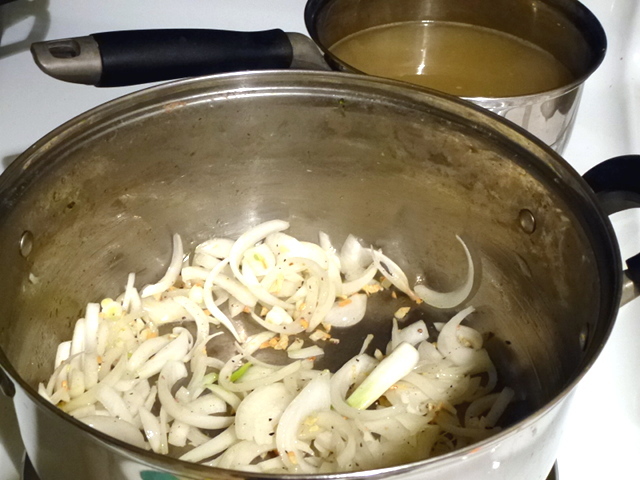 Once the garlic is starting to brown, then you can throw in the onions and sauté until soft. While this is happening, make sure to cook the black eyed peas (here’s a good link from Dr. Andy Weil on how to cook dried black eyed peas) and the penne (or macaroni). After the onions have softened, stir-fry the meats for a little while, then the other veggies. Keep some chicken stock (or vegetable, turkey, etc.) warm on the back burner. Add the cooked pasta and black eyed peas and combine. Then turn off the heat and mix in the shredded collards. The residual heat should wilt the greens sufficiently. You don’t want to cook the dickens out of them. I am not particularly a fan of mushy greens, or veggies, for that matter. I like them to have some bite (& some nutrients) left in them. This is the veggies-meat-noodles mix. Just like sotanghon soup, we keep the broth separate from the other ingredients so that the veggies and noodles don’t get mushy over time. When ready to eat, assemble your soup bowl by placing some of the noodles-veggies-meat mix in a bowl, then ladle over some hot stock. What’s this dough you ask? It’s gluten-free dough for the New Year’s Eve pizza crust. To simplify things, especially during busy times like this holiday, I used Bob’s Red Mill Gluten- Free Pizza crust. 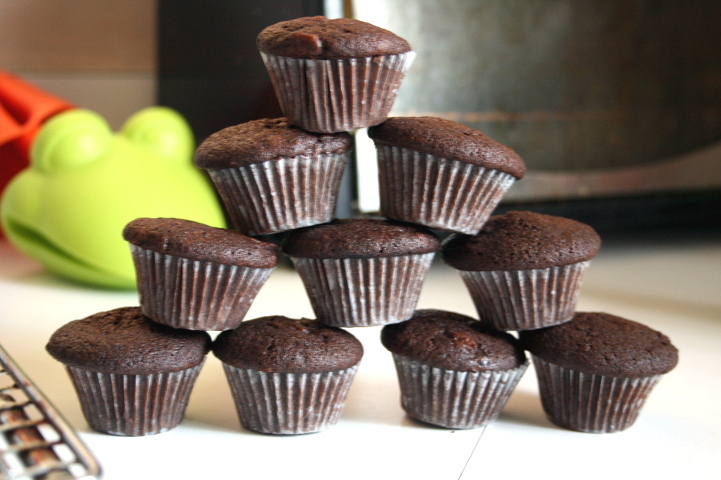 I love Bob’s Red Mill brand and have used it in some of my other baking recipes. I’m happy with the ingredients in the pizza crust mix. I like Bob’s Red Mill particularly because of the quality. I used a whole package of the mix, which makes one 16 inch pizza. Black olive tapenade (provided that it’s not made with anchovy) replaces the anchovies from the previous sfincione recipe for that salty brine-y undertone characteristic of this pizza. I think that olive tapenade and anchovies share some flavor profiles, so likewise, I think that they can be used interchangeably in many dishes if you want a vegetarian option. The tapenade it is pretty tasty on its own or as a dip/spread. 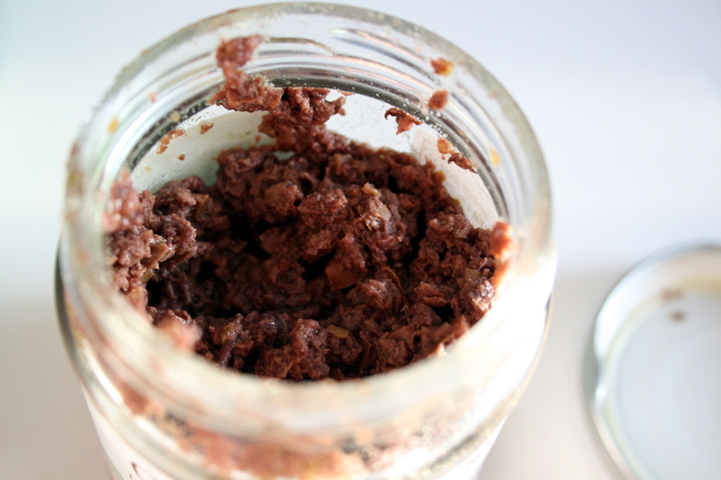 If you want to buy a jar of tapenade, make sure that it is vegetarian. I think tapenade is just as good even without the anchovy. Here are some nice black olive tapenade recipes (sans anchovies of course) from Vegetarian Times and Amuse your Bouche. The sfincione-making process is virtually the same as last year’s recipe so look back at that post for more details. 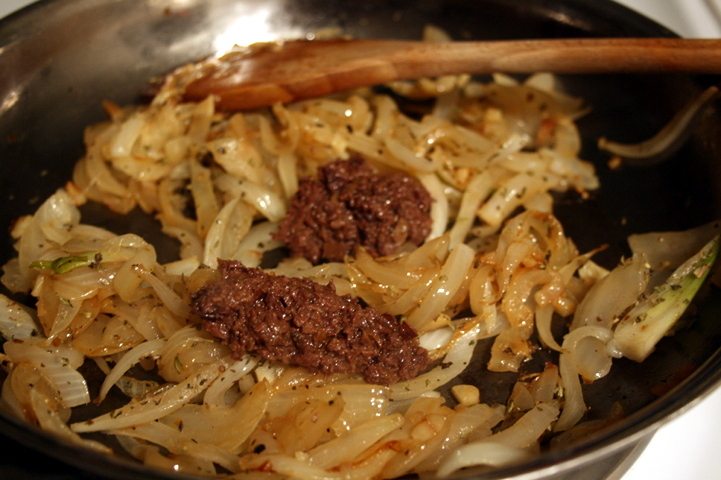 For the tomato-onion-based sauce, we add the tapenade to the caramelized onions instead of the chopped anchovy. I think I went overboard with the tapenade here. I think half the pictured amount (~1 tablespoon) is enough. Another new element is in the crunchy topping. 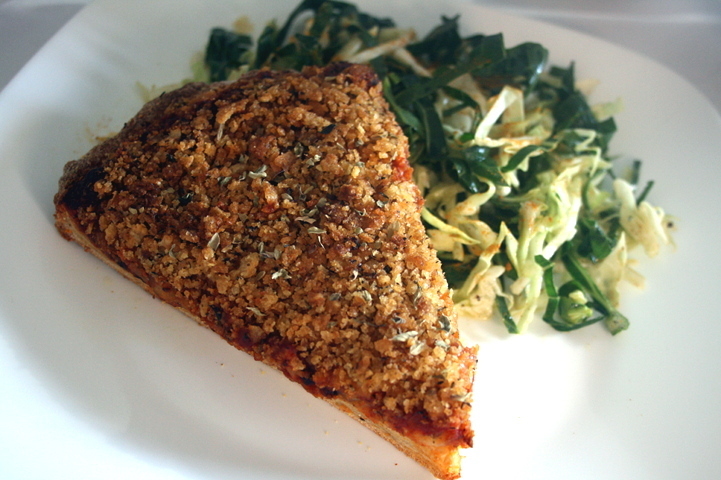 Instead of bread crumbs, here we have a crushed potato chip gluten-free topping! I used Trader Joe’s Reduced Guilt Potato Chips. You could also use gluten-free breadcrumbs if you are going that route. 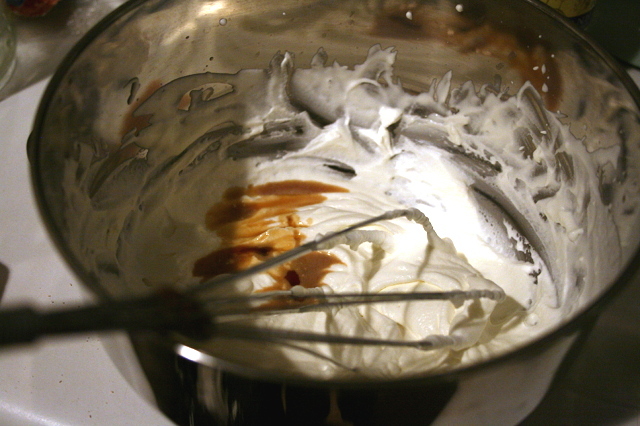 …like hand-whisk some cream to make whipped cream with kahlua for part of the dessert. Hey, I have to get in some extra calorie burning when feasting! Also, I think it’s fun to make your own whipped cream. When the sauce is done, set it aside to cool for about 15 minutes or more. 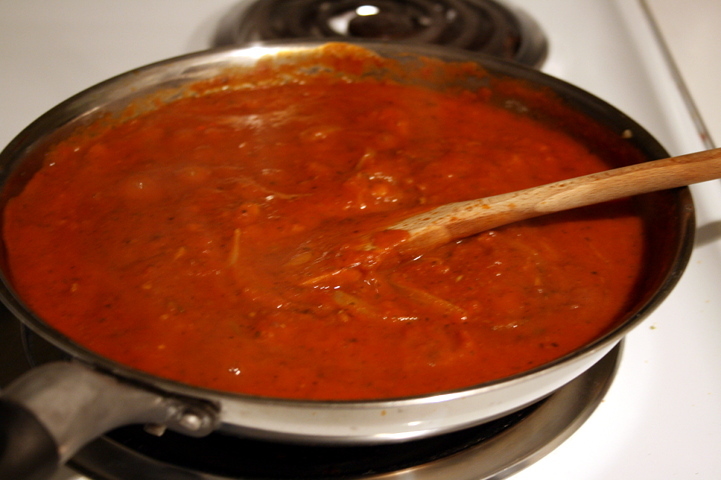 The sauce can be made a couple of days a head of time and stored in the fridge. 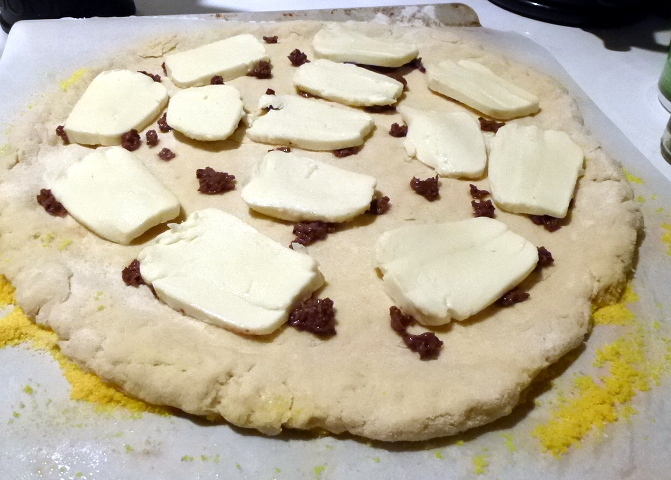 In the meantime, you can form the crust and dot the surface with tapenade and the mozzarella and provolone. After that, you can let the dough rest a bit more to rise, not more than 30 minutes. If you want a vegan pizza, you can leave out the cheese and it would still be flavorful. Traditionally, sfincione is rectangular, but I like making it round for the occasion. Wanting a round sfincione, I think, stems from my Filipino cultural traditions that celebrates New Years with lots of round things, representing coins and wealth. Finish up by layering on the cool or room-temp sauce, the parmesan, then the potato-chip mix. Pretty good looking round thing, here. We could only eat one slice each–it’s thick, casserole-esque pizza like Chicago pizza can seem to be. Also, we wanted to save room for the rest of the New Year’s Eve dinner. 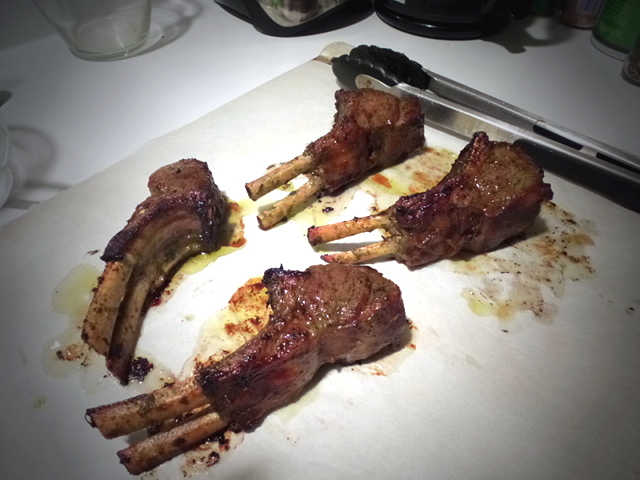 We also had lamb so a slice of sfincione was enough. Both the sopas and pizza are good as leftovers, especially the sfincione. 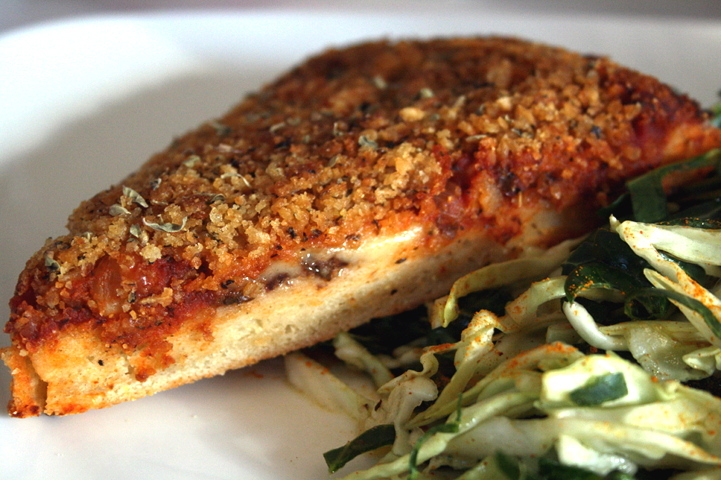 Just reheat in the toaster oven or conventional oven. Microwaving pizza is not as good. We often have pizza leftovers and I think the oven or toaster oven is the way to go to enjoy those remaining slices. Or eat it out of the fridge, like my husband does. I think sfincione tastes even better the next day like many casseroles. Back to the soup. Traditionally, sopas is served with milk or cream. We use it as a condiment–each person can put how much they want. You could leave it out, but it adds a nice, hearty, comforting touch for a special ocassion. Sometimes I do leave it out. Personally, I like to eat this soup with Sriracha or some type of hot sauce. I like the heat, but I’m one of few in my family who enjoys spicy and hot foods. I can take the heat. 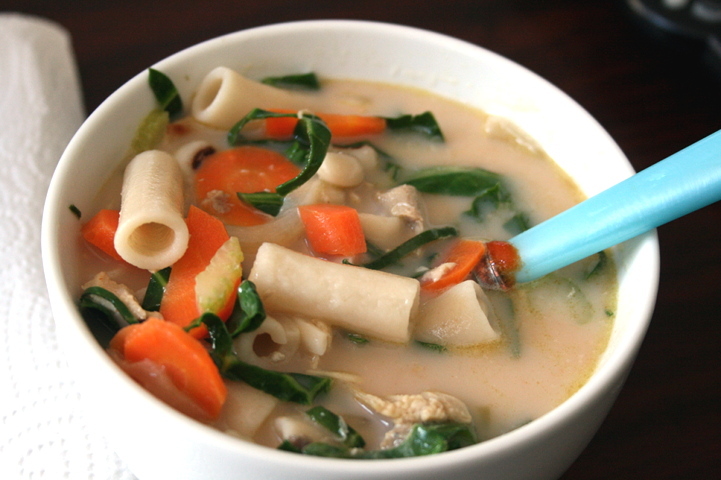 Whether or not you like creamy or spicy hot soup, you can enjoy it however you want! 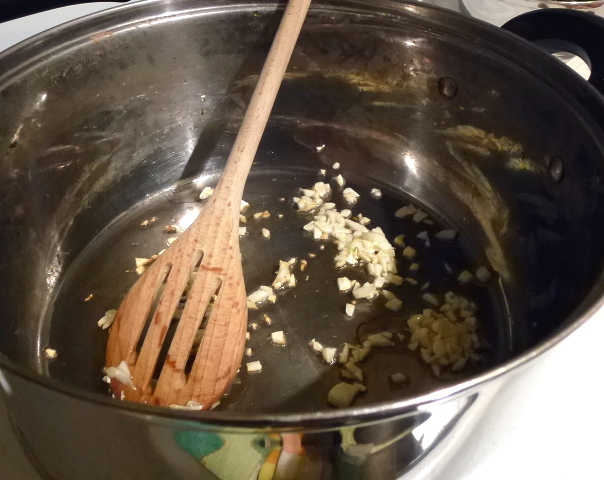 In a large pot, on medium heat, lightly brown the garlic in the oil. Add the onions and sauté until softened and fragrant. 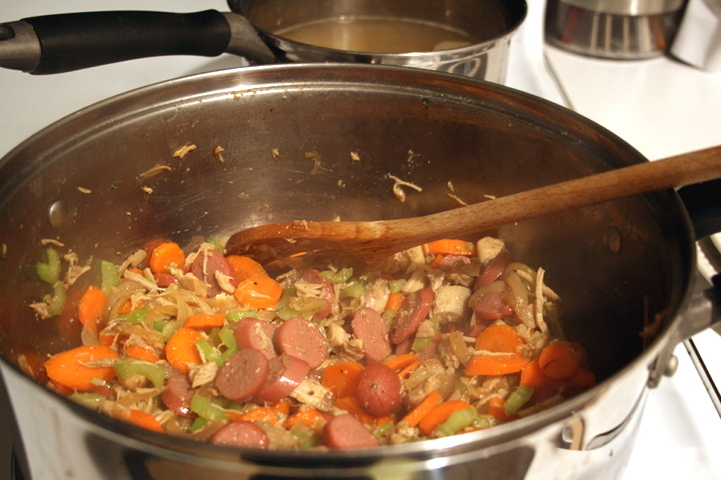 Stir in the chicken, sliced hot dogs, and bouillon, if using. Sauté for about 5 minutes until meat is heated through. Mix in the celery and carrots and sauté for about 3-4 minutes. Add the cooked black eyed peas and noodles. Season with salt and pepper to taste. Finally, add the shredded collards. Mix and turn off the heat. 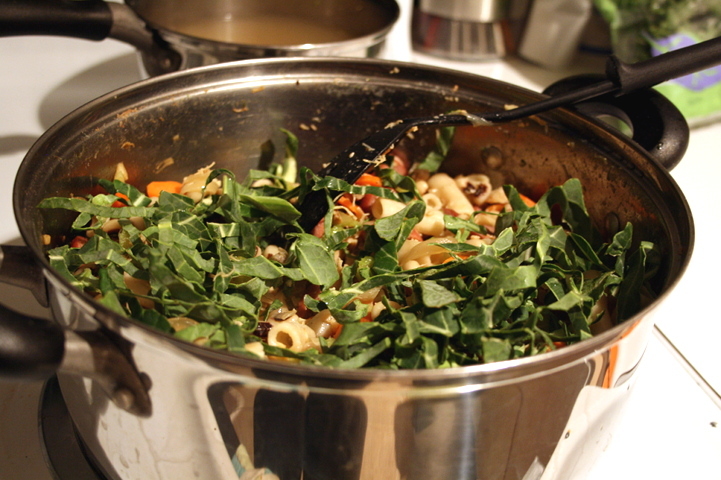 To assemble, place some of the noodles-meat-veggies mix in a bowl, and ladle on some of the hot broth. Serve with a little bit of milk or cream. Follow the instructions on the package, also found on this link. During the 30 minute rest, prepare the toppings. 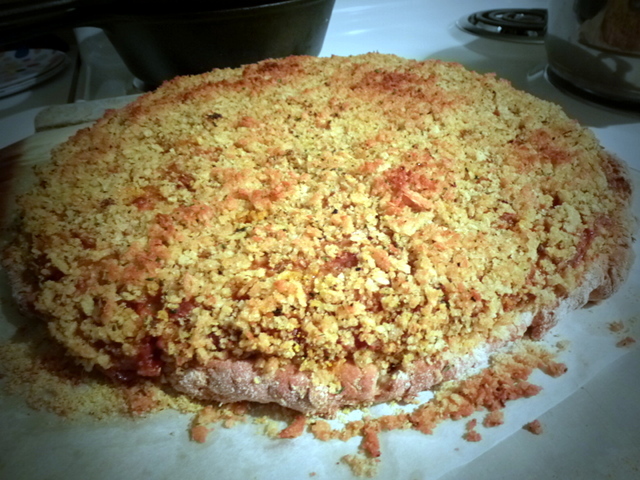 Prepare the potato chip “breadcrumbs”: Mix the crushed potato chips with 1 tablespoon Italian dried herb mix. Set aside. Prepare the sauce: Heat some oil on medium heat and add the onions. Cook until deep golden brown in color, about 20 minutes. Add sugar or honey to heighten the onion flavor. Make sure to stir frequently so they don’t burn. Mix in oregano, 1 teaspoon Italian dried herb mix, and red pepper flakes. Add the tomatoes & 1 tablespoon of the olive tapenade. Stir to combine. Lower the heat to a simmer and cook for about 30 minutes until it has reduced a little. Season with salt and pepper to taste. Set aside. This can be done up to a week in advance and stored in the refrigerator in a tightly sealed container. Prepare the crust: Grease a rectangular baking sheet with olive oil. Sprinkle on some semolina or cornmeal (optional). Or, for a round pizza on the baking stone, take a sheet of parchment and spray some olive oil and sprinkle on semolina or cornmeal. 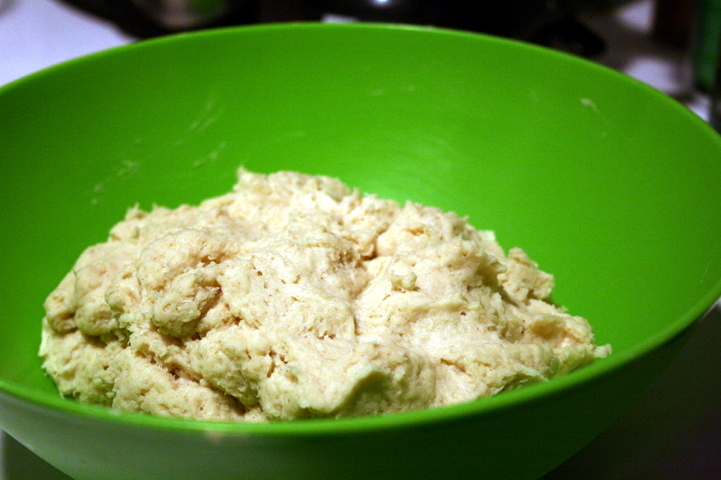 After the first rise, gently scrape the dough out of the bowl and shape into a ball. Place it on the baking sheet and spread it into a rectangle or oval to fill the surface of the pan. Dough is sticky so you can lubricate your hands and surface of the dough with oil or with a gluten-free flour. Do the same for the round shape on the parchment paper or use your favorite pizza-shaping method. I always hand-shape my pizza, never rolled out. I like hand-shaped pizza because I find the crust has a nice bread structure and is airy. Cover the dough with plastic wrap and let it rise for another 90 minutes. At about 30-40 minutes before the dough has finished rising, place a baking stone on the bottom oven shelf and preheat your oven to 425 degrees F.
Assemble: After the rise and while the oven is preheating, start assembling the pizza. Start by brushing some olive oil on the crust (optional step). Then, with the remaining 1 tablespoon tapenade, place small amounts evenly (make a dotted pattern) throughout the crust. Layer on top the mozzarella and provolone. Then spread the tomato-onion sauce and sprinkle the grated Parmigiano or Pecorino. 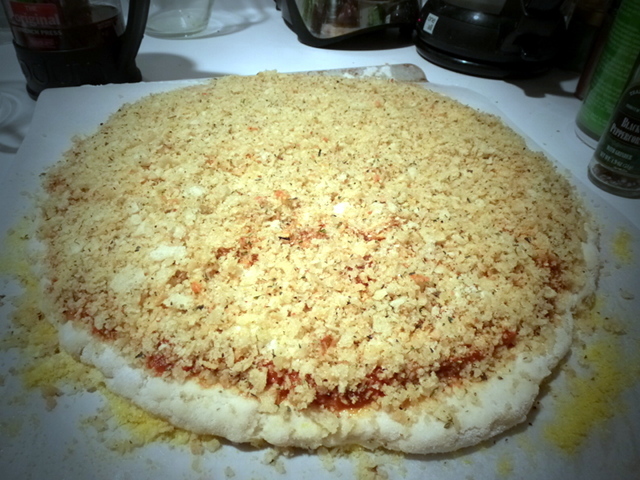 The top topping is the bread crumb mix. Spread it evenly. Bake: When the oven has finished preheating, place the pan on top of the baking stone. For the parchment-lined round pizza place it directly onto the baking stone. 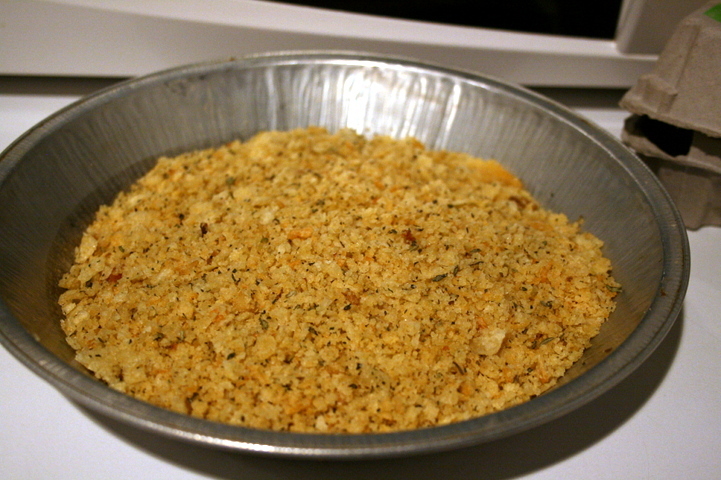 Bake for about 25 minutes, or until bread crumbs and crust are golden brown. Rotate the pizza half-way into the baking time. Let cool for a few minutes, remove gently from pan with large spatula, slice, and serve while warm. Happy New Year: I appreciate you! 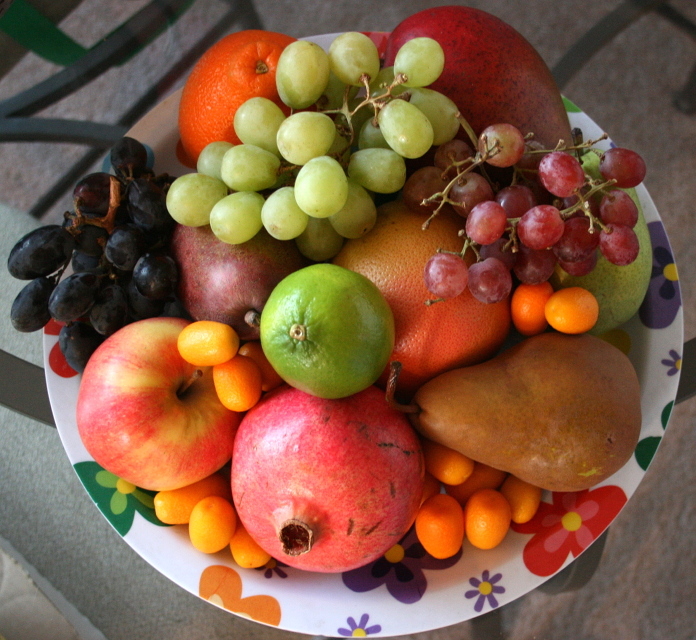 This entry was posted in About Me, Cooking, Food, Gluten-Free, Holidays, Recipes, Snacks and tagged 13 round fruits, Chicken soup, Filipino food, Holidays, New Year's, Pizza, round fruits, Sfincione, sopas, traditions. Bookmark the permalink. Oh be still my heart….. your photographs are mouth watering ….. simply lovely. Thank you for sharing GF pizza. Guess what we will be having in another day or two. Every single time I stop by, I feel bathed in your hospitality. Thank you so much. ps. Happy and Healthy New Year to you and yours. Happy New year and a great line up of dishes and images. The sfincione which is term I have used or heard for the first time looks especially brilliant. Thank you for sharing. That all looks amazing!!! 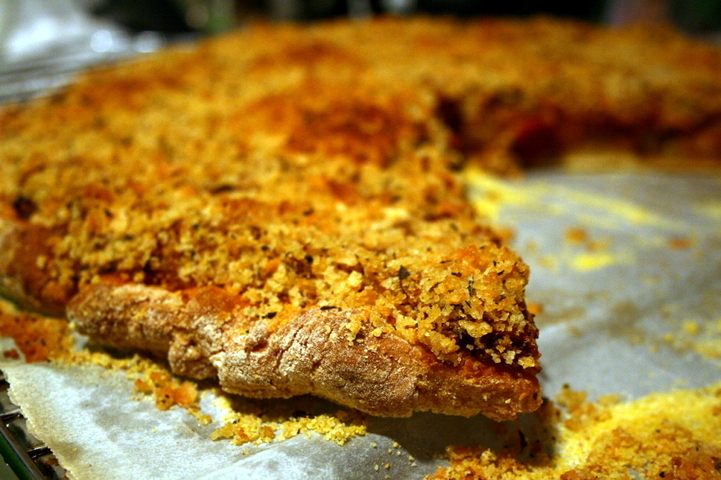 The “pizza” is a must-try……the Panko/oil/It. herb combo topping looks wonderful (I just love tapenade!!! Awesome post!!!!!!!!!!!! Hugs…………….. Thanks, hugs to you too 🙂 Tapenade is something that comes in handy for a flavor boost! It absolutely does…….and it’s great on crackers/toast rounds, too!!!!! LOL! Glad you’re back! Happy New Year!